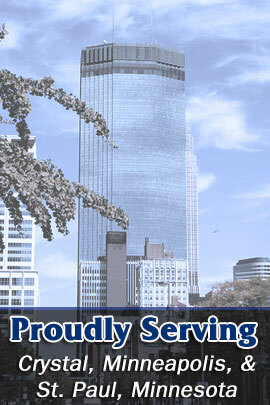 The team at Industrial Metals Inc. has offered superior scrap metal removal and recycling services throughout the Minneapolis and St. Paul Twin Cities metro region since 1953. We can help you save money by recycling your scrap metal! We offer recycling services for all industrial businesses and warehouses that produce scrap metals. We are a family owned and operated business that truly values our customers. We have been sending our team out to local businesses in order to complete each and every job as thoroughly and as personally as possible all while saving you money. Looking for warehouse cleanups or to get your industrial park in order, we can help! Industrial Metals Inc. also provides scrap metal processing services throughout the Minneapolis and St. Paul Twin Cities metro region. The experts dispose of each piece of scrap metal properly by bringing it to the right smelters and refineries. With us, you never have to worry about where your metal is ending up because we turn your scrap into quality products. We will provide the containers, tanks, trucks and manpower to complete each and every job quickly and efficiently. We offer the best customer service in the entire Midwest. We pay you a fair price for your scrap materials and never charge hidden fees.